To some people their hair is the most important part about them. It makes them who they are. It gives them an identity. A few that come to mind are Albert Einstein, Princess Di, Elvis Presley, Farah Fawcett, Donald Trump. I’m sure some of these used various products to keep their hair looking good (maybe not so much Einstein!). Let’s take a look at some hair problems and how essential oils may help with them. ROSEMARY ESSENTIAL OIL – This oil is rich in antioxidants and promotes blood circulation. It stimulates the hair roots and increases circulation in the scalp. Rosemary is good for normal, dry and oily hair. It opens up the pores of the scalp and the oils of the head are balanced. When it is used on the scalp, it improves hair growth and thickness. Rosemary essential oil has the ability to improve cellular generation. A study in 2015, with patients suffering from alopecia (a condition that attacks hair follicles), showed that after 6 months of use, rosemary oil performed as well as minoxidil (Rogaine) for hair growth, without any side effects, unlike minoxidil. How to use: Warm 4 tbs olive oil or coconut oil and add 12 drops of rosemary oil. Rub into scalp and cover with a hot towel. After 30 minutes, shampoo hair and rinse. For the best results, do this twice a week. LAVENDER ESSENTIAL OIL – Lavender is probably best known for its help with anxiety and stress. But lavender oil has also been shown to promote hair growth and improve scalp circulation. It is also good for all types of hair. A research study done on mice in 2016, found that when lavender oil was used on the mice their hair grew thicker and faster. When lavender is mixed with other scalp circulating oils, such as; rosemary and peppermint, it was more effective. See this study. How to use: See usage for rosemary oil, but use lavender oil instead. PEPPERMINT ESSENTIAL OIL – Peppermint oil is a good, invigorating oil because it can cool and heat at the same time. When it is used on the scalp, it provides a cooling, tingling effect. This in turn stimulates the blood flow and increases circulation. This is a good oil to use on dry or greasy hair. It can increase the follicle depth and amount of follicles, thus causing better hair growth, as shown in a study in 2014 on mice. Peppermint essential oil was shown to induce “very thick and long hair after 4-week topical application”. How to use: Add 2-3 drops of peppermint essential oil to your favorite carrier oil and massage into your scalp. Wait 30 minutes then wash out. Use it daily for a month to get the best benefits. TEA TREE ESSENTIAL OIL – Tea tree comes from the Melaleuca alternifolia tree in Australia. It is a very powerful healing oil, with the ability to help heal skin conditions. It has great antiseptic, antifungal and antibacterial properties. Tea tree is found in quite a few dandruff fighting products. The scalp is moisturized, giving relief from the drying and itching caused by dandruff. A study was done in 2002 with 26 patients to see if tea tree oil could help improve dandruff. It was concluded that tea tree oil appears to be effective in treatment for dandruff. How to use: Add a few drops of tea tree oil to shampoo and massage scalp. LEMONGRASS ESSENTIAL OIL – Lemongrass is an antimicrobial because of the citral compound that is found in it. It also has antifungal properties. This oil could be the best natural solution to fighting dandruff, because dandruff stems from yeast overgrowth. This oil is a very soothing oil and it’s anti-inflammatory, which helps relieve itchy scalp caused by dandruff. Check out this study from 2015 that shows that after one week lemongrass significantly reduced dandruff after a week and after 2 weeks the effect was even greater. Another study showed that lemongrass worked against Malassezia furfur, a yeast that’s associated with dandruff. How to use: Just like tea tree, add a few drops to shampoo or conditioner and massage into scalp. Use this daily to fight dandruff. CHAMOMILE ESSENTIAL OIL – Just like lemongrass essential oil, chamomile is anti-inflammatory and can sooth the scalp from itchiness and dryness. It brings a softness to hair and makes it shine. One interesting thing about chamomile oil, it can lighten your hair. It’s a great natural alternative to conventional products for lightening hair. How to use: Add a couple drops of chamomile to 2 tbs Jojoba oil and massage into the scalp to help the dryness. To make a hair rinse to lighten hair, add 10 drops chamomile to 1 qt. water and after washing hair, use as a final rinse. SANDALWOOD ESSENTIAL OIL – Here is another good oil to deal with that dry, damaged hair. Sandalwood oil is an astringent and antiseptic emollient. Because it’s an emollient, it helps to retain moisture and brings a shine to hair. It helps fight itchy, dry scalp. How to use: Add a few drops of sandalwood oil to daily shampoo or conditioner and massage into scalp and into hair, especially at the ends. You can also just massage 3-7 drops of oil onto hair after a shower, making sure to treat any dry ends. LEMON ESSENTIAL OIL – Greasy hair is no fun to have. Your hair looks limp, flat, and stringy no matter what you do. All because of overzealous sebaceous glands. Lemon oil is a drying and clarifying oil that works great for an oily scalp. It is antiseptic and antimicrobial. It can reduce the amount of sebum on the scalp like it does for oily skin. How to use: For an excess amount of oil on hair, add some lemon oil to warm water and rinse hair after washing, then rinse again with just warm water. To fight an oily scalp, mix 5 to 6 drops of lemon oil with 2 tbs jojoba oil and rub it into the scalp. After about an hour or two, wash it off with an herbal shampoo. How To Use: Mix 10 drops of clary sage oil with 2 tbs carrier oil and massage into scalp and on hair. Leave it on for 20 minutes then rinse out and finish with a shampoo and conditioner. Mix equal amounts of clary sage and jojoba oil and rub oil on hair all the way to the ends. Let it set for 30 minutes and then shampoo hair. 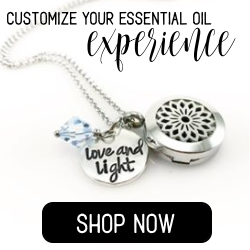 There are no real side effects to using essential oils, other than a person could be allergic or sensitive to them. If that is the case, don’t use oils unless they are diluted with a carrier oil first. Signs of allergic reaction or sensitivity would be blistering rashes, redness on the affected area, burning or painful tingling, or difficulty breathing. If you think you might experience sensitivity or allergic reaction, test a small area first. When it comes down to it, all these oils may help to boost hair growth, if that is what you are looking for. Essential oils for your hair are a great alternative if you are looking for natural ways to make your hair strong and healthy. Have you ever used essential oils to improve your hair? Let me know by leaving a comment below. If you have any other comments or questions, I would be glad to hear what you have to say. This is very useful content! I’m struggling with dandruff myself. Used a lot of shampoo and other oils and nothing has worked. I even saw a dermatologist and she said I naturally have a dry scalp. Any advice? There are two oils you could use, tea tree or lemongrass. Personally, I prefer tea tree because I know how well it works for other issues. Tea tree moisturizes the scalp and helps with the dryness. It also helps with the normal production of sebum, which is oil from the sebaceous glands. There are a couple of options with the tea tree. When you shampoo your hair, add a few drops to the shampoo and work into the scalp. Leave it in for a few minutes, then rinse out. Plant Therapy has a good oil, if you need to buy some. The other option is to purchase a tea tree infused shampoo and maybe even conditioner such as this one on Amazon. ArtNaturals is a good company whose products are sulphate and paraben free with organic ingredients. The shampoo also has other beneficial oils such as peppermint, eucalyptus and lavender. I haven’t had the need to use this, but people who have used it say it really works. I hope this will help you. If you try tea tree, I’d like to know how it helped you. Hi Lynn. Thanks for sharing this information. I’ve been considering trying something for a year now as I am starting to lose the hair from the front of my head. I really like the fact that these oils are all natural and have no nasty side effects when applied, diluted, to the body. I also like the fact that my partner currently has a collection of essential oils for her use, so I just need to convince her that I NEED them more than she does 🙂 Now I just need to decide which oil to try. You’re quite welcome! It sounds like you need to find something to use before you lose any more hair! I couldn’t get my husband to try anything. He only has hair left on the back of his head and above his ears! He can’t wait until it’s all done. Mix 10 drops of rosemary oil to 3 tsp heated olive oil and massage it over the scalp and through your hair. Use a towel dipped in hot water and wrap it around your head, leaving it on for 30 minutes, then shampoo and rinse it out. The recommendation is to do this once a month. Please see my medical disclaimer, as I am not a medical professional. This information comes from research done that includes studies. If you do try this, I would love to hear how it works if you’re lucky enough to get the oil away from your partner!! At 22, I am already balding. Go figure! I can see the deep V’s in my hair. My Dad lied to me. He told me that, since all the men on my Mom’s side of the family hair, I cannot possibly go bald. Well, my Dad is way wrong. I guess I will have to try that rosemary oil on for size. I do have a question though. My Dad is bald on the sides and on top. Would it be possible for him to grab some rosemary oil and get hair growth back on top? Or is that not possible? I think it would be a splendid Christmas present for him. I look forward to reading your response. What you describe sounds just like my husband and his dad! His dad was just like your dad as far as hair loss. And sure enough, my husband is getting that way with no hair on top right now and slowly losing it on the sides. How coincidental! My husband wants it all to be gone. He won’t use any oils to help it grow back. It is said that you inherit baldness from your mother. Your dad was right! But along with that if you have a bald father you’re more likely to develop male pattern baldness. So, in my research, I learned that the baldness is caused by DHT, a by product of testosterone. It attaches to hair follicles which causes the follicles to shrink over time. Rosemary stimulates hair bulbs and follicles, bringing them back to life. There might be a chance this would work for your dad. Studies have proven that rosemary works as well as Rogaine(a male pattern baldness treatment) in regrowth. There is one catch. If it does work, it most likely would have to be done on a continual basis or the hair follicles will start shrinking again. That is the way Rogaine works, so I’m assuming rosemary would be the same as I’ve not found anything that states differently. Here is another treatment to try that’s not in my post. Mix 10 drops of rosemary oil to 3 tsp heated olive oil and massage it over the scalp and through your hair. Use a towel dipped in hot water and wrap it around your head, leaving it on for 30 minutes, then shampoo and rinse it out. The recommendation is to do this once a month. You could try either treatment. There’s no guarantee they’ll work, but it would be interesting to find out! In my opinion, if you think he would try it, then there is one Christmas present for him! Now as for you, you would probably have a better chance of it working on you since your hair loss is not as much as his. So if you love your hair, then try it!! I really would like to know if you or your dad use it and what the results are. So keep me informed, please.